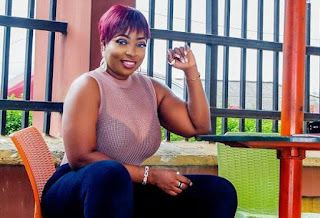 One of the curviest single ladies in Nollywood, Anita Joseph has shared throwback photos of herself before the deadly curves that have formed a part of her identity. According to the woman of South-eastern ancestry, she used to be slim but she has no regrets adding weight. “Tell me d year I took this ist picture Or 2nd or even d 3rd one And am gona give you a Gift Swipe ndi oma It have teyed I was even hotter then,plz plz don’t you tell me to go back to Been slim Biko ‍ Hotties like us no Dey send them,na then Dey Rush us” she Wrote. Anita Joseph who is in her 30s has made more impact on Instagram than she has made in movies in recent times.